The name Paris derives from Parisii the Gaulish tribe that lived on the banks of the Seine from the third century BC until the Roman era. The Celtic people left behind coins and genes. 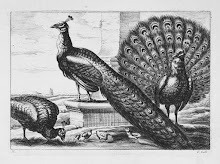 Many others followed including Romans, Franks, Vandals and Visigoths each contributing to French culture. To protect the city from invading Anglo-Normans The Louvre Palace was built by Philippe Auguste (1180–1223). 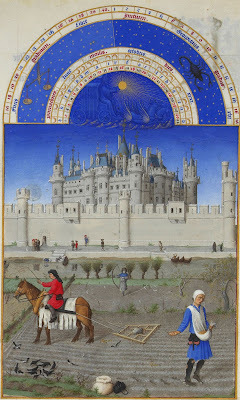 The fortress as depicted in Les très riches heures du Duc de Berry evolved into the Musée du Louvre of today and is visited by millions. La Ville-Lumière became a center of education and ideas during the Age of Enlightenment of the 18th century. Russian Marc Chagall (1887- 1985) is among the many painters who have interpreted the city of light. 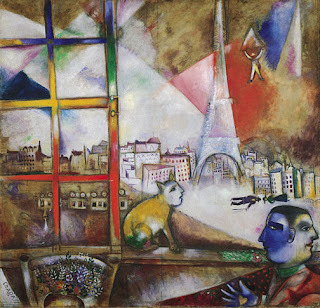 In his Paris Through the Window he shows a surreal landscape with a yellow anthropomorphic cat, a blue Janus faced figure and the Eiffel Tower in the distance.